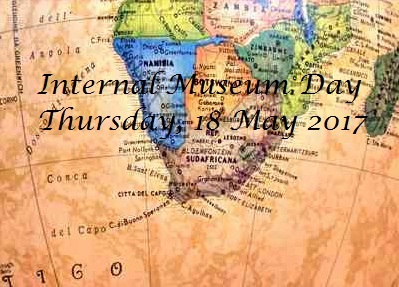 18 May 2017 marks International Museum Day. It started in 1977 and is lead by International Council of Museums (ICOM). International Museum Day has grown and as many as 35 000 museums took part in 2016. The theme for this year is, “Museums and contested histories: Saying the unspeakable in museums”. International Museum Day was conceived with the idea that museum are wonderful places of interaction between people, culture and history. This years theme of contested histories further strengthens this role that museums play in communities and countries themselves. This is especially truth for South Africa with our many cultural groupings, bloody past and current volatile political situation. We need to remember who WE are. A nation of over-comers. With every new generation growing up faster and technologically smarter then the previous its important that we pass on our knowledge to them. Each generation needs to help the next to remember what has brought us to this point! The sacrifices made to move a step forward in the right direction. The hard to win challenges that must has appeared as mountains for our forefathers, so that we their legacy can lift our heads in pride. The strength of courage to make a stand for what is right and not be moved has been pass on to every generation that has been and is to come. This International Museum Day whether you are participating as an institution or not remember that you house great knowledge and truth of where we come from and what flows through us. History is what shaped us as an individual and as a nation. So this May 18th I would like to encourage you to support the museums around you. It doesn’t matter if its an Art, History, Cultural, Natural, Digital or any other type of museum you will learn something new! To find your nearest museum click the link below.